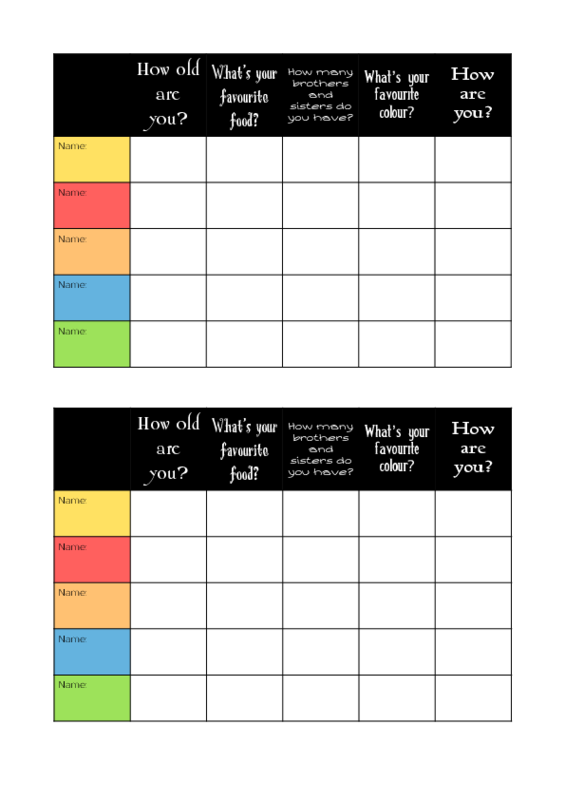 Very simple mingling worksheet. Give one to each ss and they must go around the class talking to other students finding out answers to the questions in the worksheet. Ideal for a first class or after a couple of classes if the level is low. 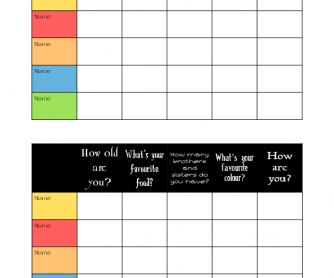 Works great with young learners (6-11), teenagers aren't as keen, haven't tried with adults.